CB&Q 100 on inbound Galesburg Local Tr. 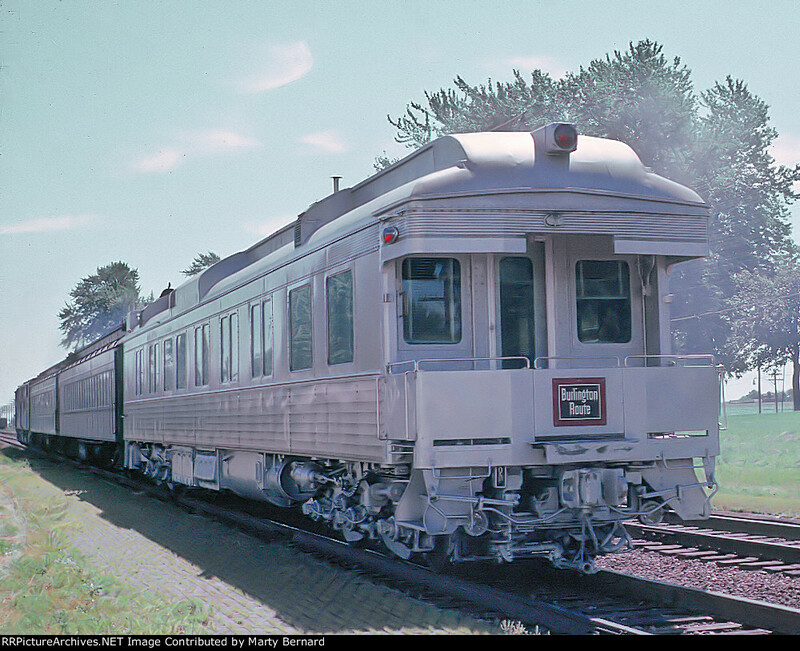 #2 at Leland, IL, July 9, 1963, 11 minutes late at 9:37 a.m. Jerry Laboda told me, "Built by Pullman as El Paso & Southwestern #1914, built in 1913 as a business car. The car was sold to the CB&Q in January 1925, numbered 100. The car was transferred (sold or leased?) to the Western Pacific in May 1929, keeping its number. In September 1931 it went back to the CB&Q, still as car 100. It was an interesting car... don't know if it is still around or not. Bill Glick's roster book shows that it was sold in 1970 to become a house in Riley, Wisc."